Guitarmonk works are appreciated by renowned Rotary Clubs in Ghaziabad, Delhi, and Noida zone. The recognition was honored by the President Mr. Pawan Kohli to Mr. Kapil Srivastava, one of India’s leading professional guitarist, and founder guitarmonk, who gave his 15 years into music in diversified domains. Mr. Kapil gave an awesome guitar performance and performed a medley of tunes to thank the occasion. 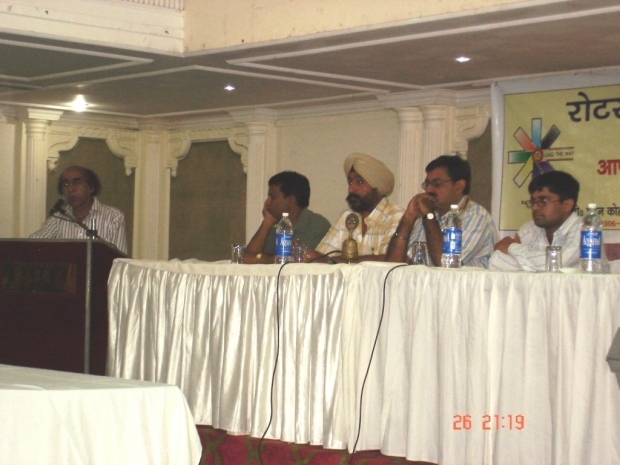 Several Rotary Club members were presented and interviewed regarding music growth and parameters, which was counseled by Kapil Srivastava. Education Minister launched Guitarmonk Records Classical Music Series.. I have enjoyed immensely reading your blog. As a writer I know you will understand if I am absent from making comments for a couple of months. I have two books I’m writing and the push is on to get them finished…so with only 24 hours in the day, I am going to continue to read and like, but my comments will be limited to replies for those who comment on my blog…thanks for the grace.